Derek Adame is a former prosecutor. Before entering practice as a criminal defense attorney in Denton, he served with the Harris County District Attorney's Office, where he held the position of Special Prosecutor for Family Violence Offenses and Chief Prosecutor for DWI cases. What does this mean to you? It means that when you come to Derek A. Adame, Attorney at Law, you will be working with a defense lawyer who has experience on both sides of the courtroom. Derek has a first-hand insight into the strategies that will be used against you, and is ready to put this experience to work for you. Contact Derek A. Adame, Attorney at Law now for a free case evaluation to discuss your situation and get started on a plan of action for defending your rights. He has been called upon to share his insight as a guest lecturer at the University of Texas in Dallas, the University of North Texas and Texas Woman's University. 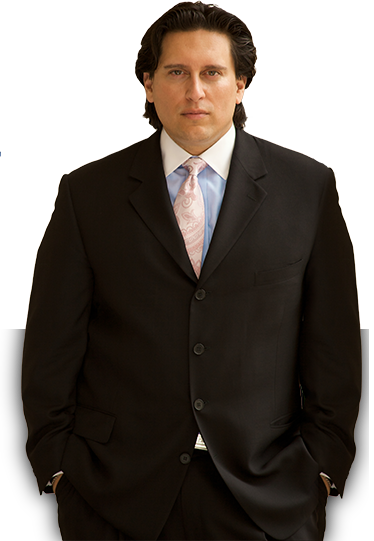 Call our firm at (972) 619-3167 for a free initial consultation with Attorney Adame. You can also fill out an online form to get in touch with our office. Contact us now! Aggressive and dedicated are just a few words often used to describe Attorney Derek A. Adame. Read more about our lead attorney to see how he’s produced successful outcomes in his many years of experience. Our firm believes that all of our clients are good people who are presently caught in difficult legal circumstances. We want to create every advantage possible for our clients. This goal is accomplished by challenging the prosecution's charges with evidence that has been thoroughly investigated as well as by carefully scrutinizing all evidence brought against you for accuracy, validity, and admissibility. In every case, we look for positive facts or aspects of the case that can benefit the client and create advantages for him or her. With a thorough investigation, our goal is to show why each client deserves a second chance. Since 1994, our attorney has been devoted to criminal law. With a strong foundation of experience, we represent clients with confidence in our legal guidance. As a courtroom lawyer, Attorney Adame represents clients charged with all levels of criminal offenses, including family violence and serious probation violations. He has represented clients in high-profile cases involving felonies, theft crimes, and other types of legal offenses throughout his years in practice. He uses his valuable experience dealing with prosecutors, judges, and juries to each client's advantage. Our attorney's experience is what sets him apart from other lawyers. It is the foundation supporting his goal to achieve strong results. He is driven to fight for clients' cases using the best possible strategies to achieve their desired objectives. We offer aggressive and creative representation that enables us to secure the results that our clients deserve. At Derek A. Adame, Attorney at Law, our goal is not to provide quick or easy solutions. Instead, we fight our clients' cases to help them achieve the best possible outcomes. Our firm takes time to find out what is important to each client as we develop our strategy for each case. At our firm, we offer a free evaluation to help clients begin their cases. During this assessment, we can dive into the details of the case, including who the client is and what his or her family and work responsibilities entail. We get to know our clients before we develop their cases. Our goal is to know who our clients are and what they expect out from their cases. As we learn more about the case, we can develop a strategy to protect the client's best interests. Schedule your free consultation today you are facing charges and need legal guidance from an experienced lawyer. We have the passion and legal acumen your case requires!